Welcome to the digital portfolio of Julianne Lagniappe. Browse the project archive, check out my online store, or contact me for custom work. Lagniappe is a Creole word for ‘a little something extra,’ and to me is represents the grace of life. It’s a philosophy I turn to, and it’s abundant in my life and work. I’m a native New Orleans artist currently specializing in costume design and garment making. 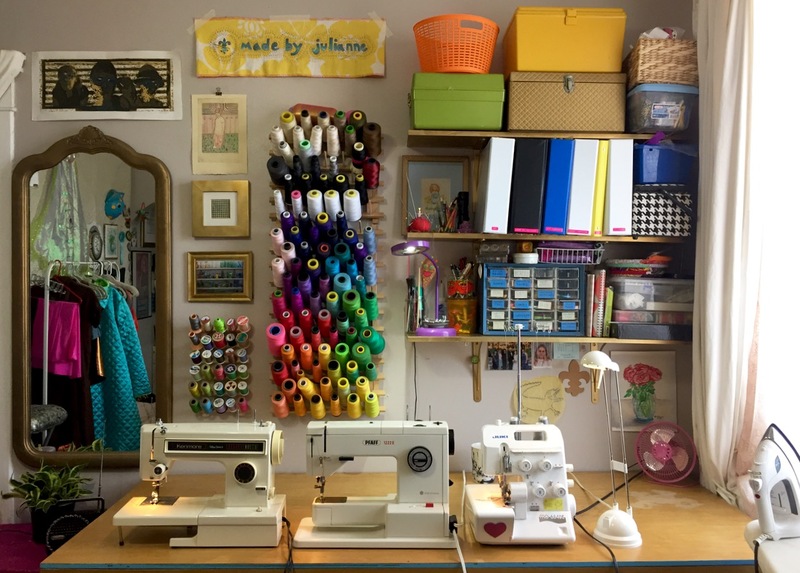 I’ve been sewing for 25 years! I also do acrylic and watercolor paints, knitting, serious glue gun crafting, and home decor projects. My work is informed by the celebration and easy life of Mardi Gras, the balance between utility and inspiration while traveling, the self-reliance and self-exploration of Burning Man, and the flexibility to follow unexpected opportunities. A well-made garment is key to a successful adventure. I am available to hire for custom garments and costumes. I specialize in sparkly spandex costumes but I can help you make any vision into a reality. I also make garments from original designs, commercial patterns, or by replicating something already in your closet. Alterations, repairs, and home dec projects are also in my wheelhouse.